Four bursaries will be awarded to current or former prisoners to study the equivalent of one year’s undergraduate study at Cambridge’s Institute of Continuing Education. The bursaries, each worth £5,000, will be awarded to four prisoners as part of wider research on the effect of education on the integration of prisoners into society. The pilot bursary scheme will be funded by the University of Cambridge and the Longford Trust, an organisation striving for “second chances” for convicts, allowing them to “rebuild their lives through education after serving a prison sentence” according to a University of Cambridge spokesperson. Prisoners who have successfully completed the Learning Together programme will be eligible to receive the bursaries. Learning Together is a research initiative created by Drs Ruth Armstrong and Amy Ludlow, both senior research associates in criminal law and justice reform at Cambridge’s Institute of Criminology. The organisation, which is funded by the British Academy, aims to bring together “people in higher education and criminal justice organisations to learn with and from each other”. Dr Armstrong told Varsity that they are “committed to… providing world class education to all students who have the potential” including “demographics who don’t get into universities”. She added, “we are interested in whole degrees being available to all students who are excellent, wherever they reside”, where the bursary programme offers “a first step toward realising that aim”. The pilot bursary scheme will take place at Cambridge’s Institute of Continuing Education (ICE), beginning in October 2018. Recipients will be able to study any subject taught by the Institute at Undergraduate Certificate Level. The courses amount to a total of 14 days, so recipients of the bursaries currently in incarceration will be required to either be released or in open prison and eligible for day release. 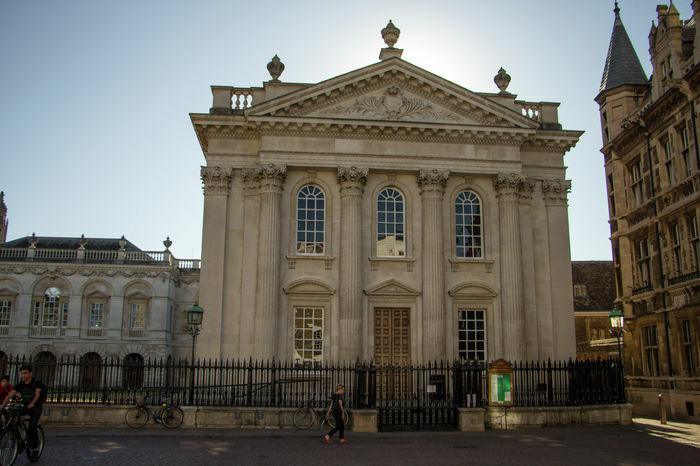 Each course is worth up to 60 CATS credits (Credit Accumulation and Transfer Scheme) which can be transferred to other institutions such as the Open University, though not the University of Cambridge. A spokesperson from the University said that the research project, Learning Together, “demonstrates how collaborative learning initiatives can help dismantle stereotypes and offer prisoners a meaningful vision for their future after release”. The bursaries are to be awarded regardless of the crime that has been committed. A spokesperson from the ICE stated that they are “open to all, and provides world class educational opportunities that draw on the resources of the University”. They went on to say that the Institute “believe in the transformative power of education, and aim to improve the life chances of all who study with us”.